I found some amazing and bizarre designs. Not a fan of noise first thing in the morning? 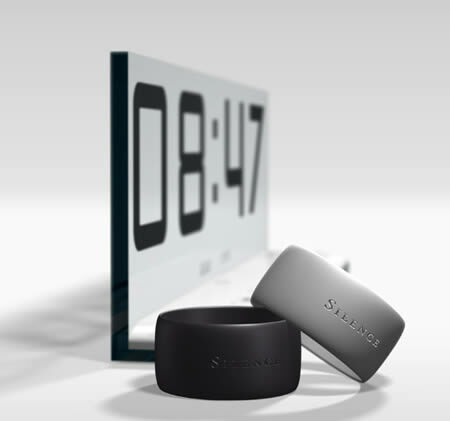 Well, if you think you can sleep with a bracelet on, this alarm might be for you as it wakes you up with a vibration! For all you bacon lovers…here is your dream…waking up to cooked bacon! 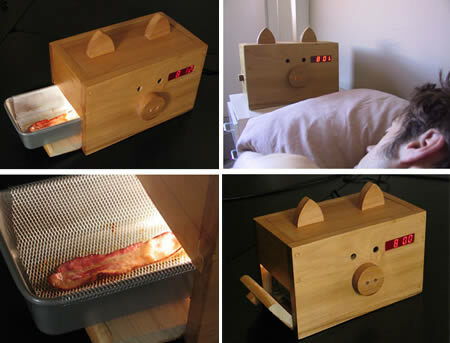 This is called the “Wake’n Bacon alarm clock”. You put frozen bacon in at night & 10 mins before your wake up time, it starts to cook it! 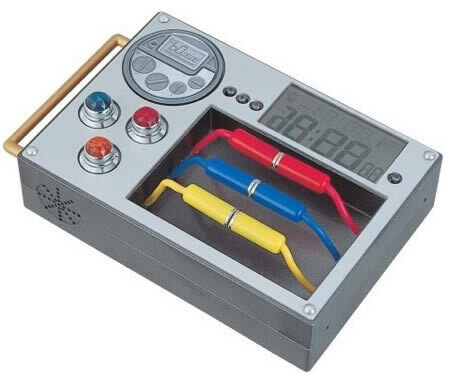 Have you been meaning to save up for something…but just haven’t made “time” (pun intended) for it?…well this clock forces you to feed it coin to shut it off…no snooze-ya must put money in the bank, every day! 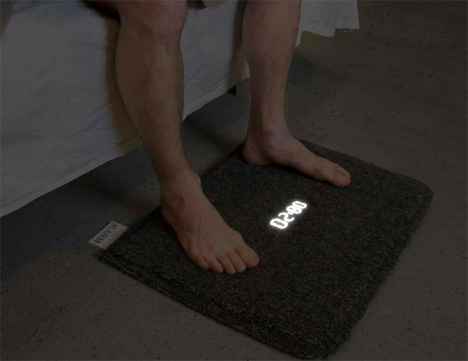 How about an alarm that makes you “get-up”!? And my favorite for laughs…this alarm is linked to your account & will donate your REAL money to a charity you HATE for every snooze! EEK! I’m more traditional. I like to be woken up to music. 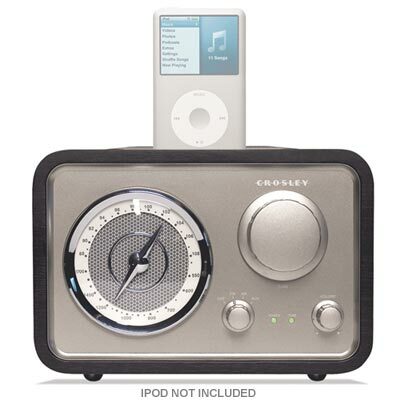 So, if you are wondering what I chose….I picked this vintage style alarm. It takes up less space than my old one from (cough) middle school & will allow me to wake up to whatever song I want from my ipod. My first playlist song of choice? “Oh, Happy Day”. Every time I hear it at the end of “Secretariat” I feel energized!